A story told from the perspective of internal coaches who used emotional intelligence (EI) to lead a coaching initiative to create a culture of success in a fortune 500 corporation as it was challenged to transition from a subsidized to a privatized petroleum refiner and retailer in India. The authors were coaches who were deeply involved in the design and delivery of the EI-centric training in India. The authors attended EITRI’s 2007 EI certification workshop and conference in Kingsville, Texas. Upon returning to their home country they developed an EI group and conference patterned after the annual EI conferences held by EITRI. The article identifies and describes the relationship between EI skills as measured by the RSM and established measures of experiential intelligence (CTI/Epstein), personality variables (NEO) and dyadic adjustment and relationship satisfaction (DAS). The findings of the study support the initial validation of the RSM and provide important considerations for the positive assessment of healthy relationship skills. Research is presented that explored the experiences of effective U.S. Federal government leaders in developing their emotional intelligence. 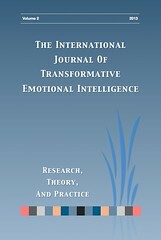 The contribution to this journal is exploring how emotional intelligence is developed within adults using a qualitative, phenomenological research orientation. Specifically, this study contributes towards a greater understanding of the evolving relationship between EI, adult learning, and leadership; and the vitality of qualitative research. Recommendations for theory and implications for future research and practice are explored. McLennan Community College (MCC) has embarked on a campus wide initiative to help incoming students adapt to the rigors of the college environment by addressing their emotional intelligence skills. Drawing from the Nelson and Low Emotional Intelligence (EI) model, the college’s five year plan promotes EI skills in its entry level college success courses and reinforces these skills by restructuring its gateway college level courses to ensure students have frequent opportunities to utilize EI skills throughout the semester. Through this process, MCC is transforming its culture around EI. An article chronicling a grass-roots initiative to teach the emotional intelligence skill of self-esteem to students at South Texas College and its growth into an wider initiative that was felt at many different levels throughout the institution. 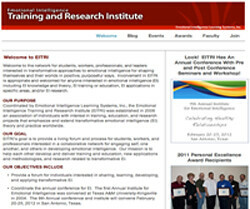 Together with Mr. Gardner (Spud) Reynolds, Mr. Miller and Mr. Boetllo were recipients of EITRI’s Personal Excellence Award and received this recognition during the 2011, Eighth Annual Institute for Emotional Intelligence in San Antonio, Tx. Emotional intelligence (EI) models suggest that emotional competencies can be developed to achieve optimal performance in various areas. The construct has been linked to successful academic and career performance. One profession that may benefit from targeted training in emotional intelligence skills is counseling psychology. The current study examined the relationships between emotional intelligence skills, perceived counselor self-efficacy, and dispositional empathy dimensions in a first year cohort of counseling psychology graduate students. Identifying those emotional skills most strongly related to feelings of counseling self-efficacy may help in designing targeted training for future programs. 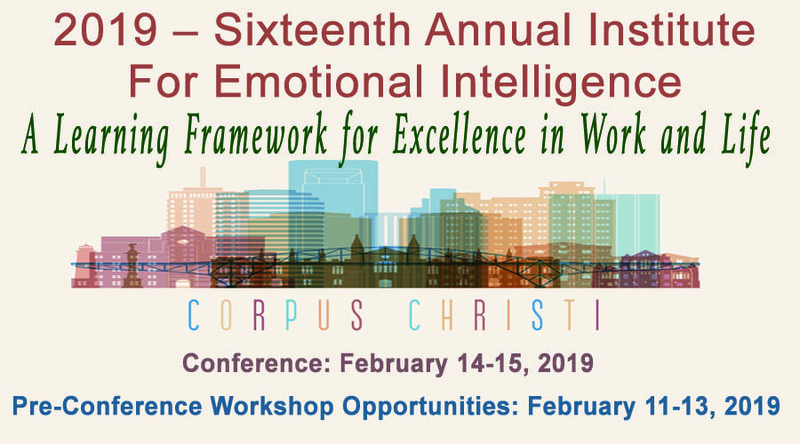 When Galveston College (GC) committed to embedding emotional intelligence (EI) in the learning environment in 2005, the focus for improving student success was concentrated at college level classes. However, throughout the past few years, college leadership, faculty, and staff have implemented EI concepts in campus activities, in committee work, and in professional development activities. The initial plan for implementation has changed, but emotional intelligence has maintained a significant role as evidenced by the GC’s Quality Enhancement Plan (QEP). The objectives of the research included the evaluation of the main and interactional effect of gender and experience on emotional intelligence and job satisfaction of 218 randomly selected college teachers of Chandigarh. Results showed that there was no significant effect of gender on emotional intelligence (F=.26) and job satisfaction (F=.88), experience had significant effect on emotional intelligence (F=5.13) and job satisfaction (F=8.96). Interactional effect of gender and experience on emotional intelligence (F=.76) and job satisfaction (F=1.59) was found to be insignificant. College teachers with higher level of emotional intelligence showed higher level of job satisfaction than the teachers with lower levels of emotional intelligence. A copy of the current journal is complimentary when joining or renewing your EITRI membership. If you are inter­ested in pub­lish­ing in TIJTEI, please learn about the types of arti­cles accepted by the jour­nal, the peer-review process, for­mat­ting guide­lines, and more by vis­it­ing the EITRI Asso­ci­a­tion Web­site.